Add Address Manually > [X] Pointer > (type in) 0x01D3A1A0 > (press) OK.
You should see in the Address column "P->(ADDRESS)". That is your temporary vmem base address. Use cheat engine and find some values. This will give you a temporary address for the value. 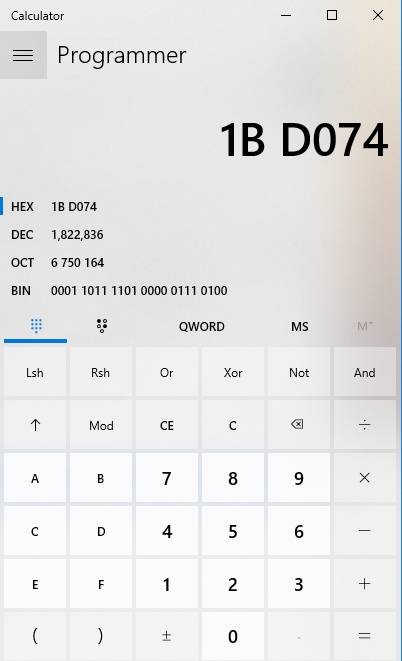 Open Windows 10 calculator in Programmer mode and press Hex. Or, find a hex calculator website. Put in your temporary address for the value you found and minus the vmem base address. This will be your offset. Last edited by erfg12 on Thu Dec 06, 2018 6:49 pm, edited 6 times in total. Do specify that on a different DOSBox version this will not work as indicated (as the static pointer to the allocation will be different). Both in the title and the post I stated this is for version 0.74. Would they assume it works for other versions? Last edited by erfg12 on Thu Jan 01, 1970 12:00 am, edited 1 time in total. EDIT: Just have to check and yep these are still called 0.74.0 it seems. Last edited by jonasbeckman on Thu Jan 01, 1970 12:00 am, edited 1 time in total. I miss the old days of PEEK and POKE cheats on the C64. Static memory made things so much easier. Nice work detailing how to work with DOSBox, though. I've always wondered how they try to handle static memory on a dynamic memory platform. 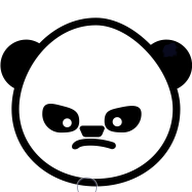 Last edited by gir489 on Tue Jun 26, 2018 2:53 pm, edited 4 times in total. 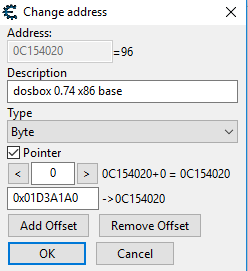 I'll be releasing a video in a few days to show how you can find the base pointer for any version of dosbox easily. Last edited by erfg12 on Wed Jul 25, 2018 1:08 pm, edited 2 times in total. 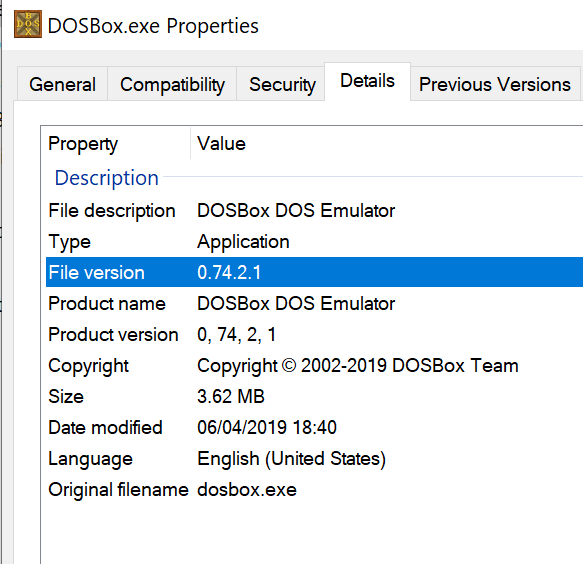 I added a video to help locate the base address of DosBox on every version. 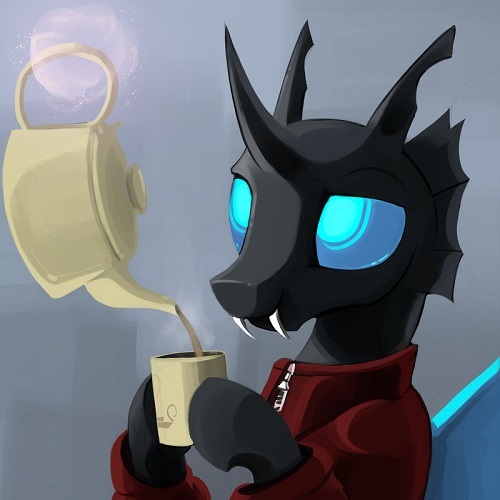 Do you have similar stuff(or anything) on PS3 and Wii emulators? Thanks for your very useful tutorial @erfg12! 2/ But if I launch the DosBox emulator, for the same game, the offset still negative but different! There is another solution. 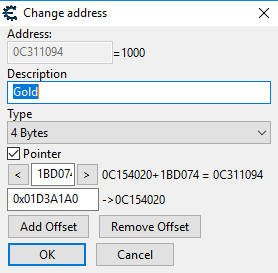 If you compile DOSBox yourself, there will be a .PDB file that generates a different virtual memory base address that makes it easier to find between versions. Here's a little video about it. Anyone have the base address for DosBox 0.74.2.1?